The national Rails-to-Trails Conservancy (RTC) has notified the BMC and other local advocacy and governmental organizations that an unused section of railway will probably be declared abandoned. 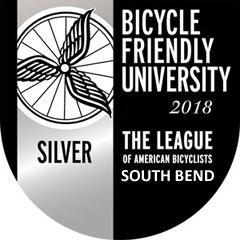 The 1.5 miles of track is entirely within the city limits on South Bend’s southwest side, and will allow the property to be developed as a multi-use trail that can accommodate hikers, bikers, and other appropriate users. In the RTC notification, they said “On or about October 17, 2013, Norfolk Southern Railway Company filed for the abandonment of 1.5 miles of interconnected track within South Bend in St. Joseph County, Indiana. We are providing you with this information so you may take advantage of the opportunity to develop a real regional asset”. The RTC also provided the map which is at the top of this post. LaSalle Trail currently ends at Cleveland Road. It is scheduled to extend northward. 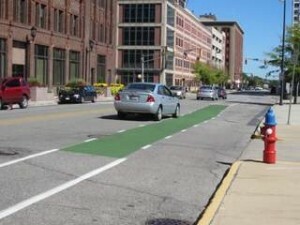 Another step in the completion of these two bicycle/pedestrian projects has been approved, according to the South Bend Tribune. The St. Joseph County Commissioners Tuesday accepted engineering proposals for both future construction projects. The federal aid projects are for an extension of the Adams Trail from Fir Road to Elm Road, and an extension of the LaSalle Trail from Cleveland Road to Darden Road. Several companies submitted engineering proposals: the next step will be for the county staff to evaluate the proposals, and select one company for each project. These proposals are not for construction itself — in fact, the projects are years away from even beginning construction. The proposals are for the engineering side of the projects, with the letting for construction in 2015. County Engineer Jessica Clark said that each project has another partner, too. For the Adams Trail, the county is partnering with Friends of Granger Paths, while the LaSalle Trail will be constructed with the St. Joseph County Parks Department. The trails are expected to cost $822,500 and $687,100, respectively, according to the proposal requests. 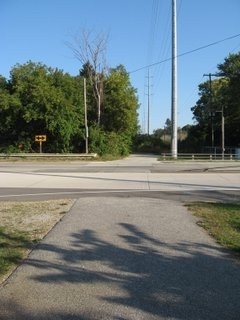 The LaSalle Trail is part of the Indiana-Michigan River Valley Trail, which will extend from Niles, Mich. to Mishawaka, Ind. For more information, see the South Bend Tribune article by Amanda Gray.